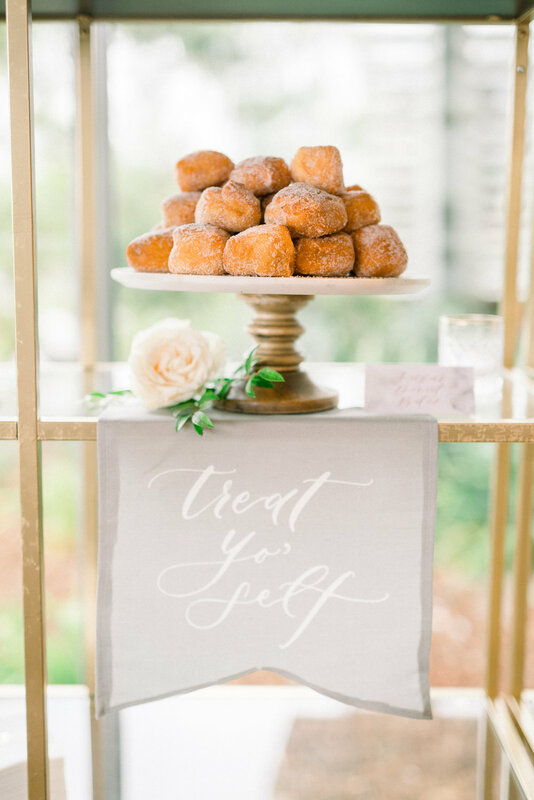 My good friend Molly of Tres Chic Affairs, was Desiree and Michael's wedding planner, and her vision for this couple combined her typical organic, romantic style with a modern twist! The couple asked for a clean, simple invitation using natural textures, and of course a little marble thrown in. We kept the overall design of the invitation very simple, but added some drama in the variations of neutral-toned papers. White, cream, mist, cool blue, and light gray were our starting point, and we arranged the cards so that they faded from darkest to lightest as you opened each piece. I love thinking about how each set of invitations will look coming out of the envelope - putting them together in an artful way can transform a pretty invitation into a whole visual and tactile experience for your guests. 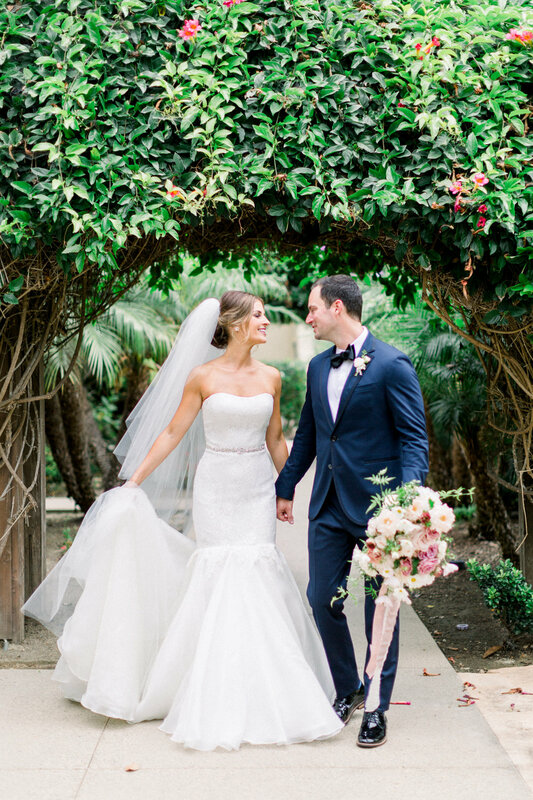 Molly and her team work at this gorgeous oceanside venue all the time, so you know they killed it on the design for the ceremony and reception! These ghost chairs at the reception allowed guests to enjoy 100% of the stunning view that makes Scripps Seaside Forum, and they arranged the seating so that everyone had a great view of the Bride and Groom throughout the ceremony. If you've ever seen my Instagram page, you won't be surprised to learn that my favorite part of the reception was the marble tabletop design by TBD San Diego! I was over the moon when I heard this couple wanted to use marble in their décor, and we incorporated that from the beginning with a marble belly band and marble envelope liner on their invitations. Topped with florals by Carla Kayes, tons of taper candles, and acrylic table numbers, these tables were a modern wedding dream. My favorite piece of stationery was definitely the menus, which incorporated a geometric color block of dusty rose on a vellum swinging overlay (and all the yumminess below!). We also used acrylic and dusty rose accents for the seating chart - each piece of acrylic housed one table in white vinyl, and all were attached with gold hardware to this dusty rose board, showing guests where they could find their tables for the rest of the celebration! This wedding was absolutely beautiful on the outside, but most importantly, it was beautiful on the inside. Even from across the country, I could see the joy and love on Desiree and Michael's faces in every photo, as well as feel their strong connection with all of their guests! There are some clients who become friends, and I know that Desiree and Michael will be two of those - we just hope to meet in person someday!